The most important moments from your wedding are going to stay with you forever. But sadly, many of the details will fade away with time. A guestbook can do more to jog your memory than looking through wedding photos. 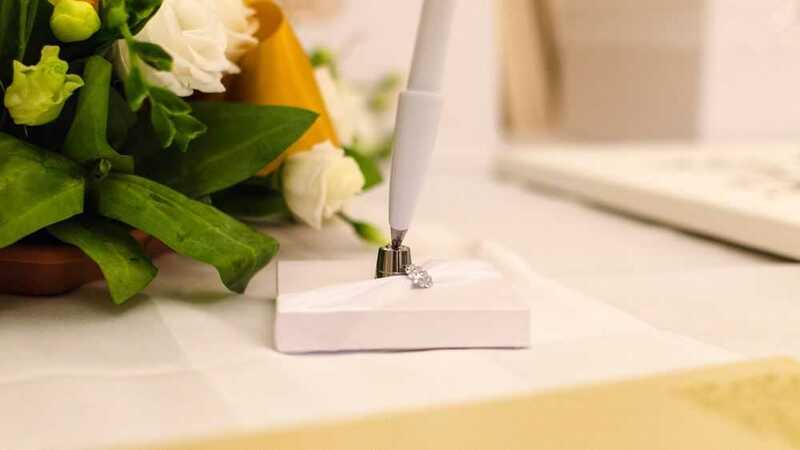 After all, your guestbook isn’t just a collection of signatures. It holds heartfelt messages from your loved ones. You want your guests to write something unique. How can you give them some extra inspiration? A gorgeous guestbook is a great place to start. Obviously, you want a guestbook design that fits the theme of your wedding. But leather guest books aren’t the most eco-conscious choice. You can DIY a guestbook out of a regular notebook, but this might not be durable enough to last. Some new couples go for alternatives, like a quilt or jigsaw puzzle that the guests can draw on. This approach can be a lot of fun. However, many couples feel that a traditional guestbook is simply more special. You can look into organic velvet stationary. You can also have your organic guestbook custom-made. Velvet is a versatile choice. If you opted for a formal reception, you can buy a guestbook in dark green or burgundy velvet. But if you want something more fun and friendly, you can find velvet guestbooks in bright colors and zany patterns. It’s also easy to make sure the guestbook fits in with the decorations. If you care about the details, you can even find velvet wedding invitations to match your guestbook. Velvet guestbooks are widespread. They come in a variety of styles. If you’re looking for something that fits a very specific theme, Etsy is a good place to start. Most guests arrive with some idea of what to write into the guestbook. But when you’re at a wedding, it’s easy to forget your plans or feel self-conscious about them. Hence, it helps to set up a friendly sign next to the guestbook. It will give your guests a little boost that will help them get creative. What kind of advice would you give [your name] and [your spouse’s name]? What’s the secret of a successful marriage? Share your wisdom with the happy couple! The design of your sign will also help your guests out. If you’re hoping for lighthearted guestbook entries, a jokey sign will help. The questions you ask don’t have to be too profound. For example, you can ask your guests to give you ideas for your date nights. Asking for specific recommendations will give you the excuse to reread your guestbook every few weeks. Choose a question that will engage and amuse your guests. However, don’t forget that your guestbook is open to everyone who’s invited. It might be better to avoid innuendo and spicy questions that could make things awkward with your relatives. Why not ask about your guests’ favorite romantic songs? You can create a playlist based on these song recommendations. After the honeymoon, you can even share this playlist with your friends. Everyone will love reminiscing with you about your awesome wedding. If you’re asking for a song rec, you can decorate your guestbook with a musical theme. Like above, you can create a list of your guest’s recommendations. There is something special about visiting the locations your friends and family care about. In this case, you can decorate your guestbook with old postcards. Your globetrotter-themed velvet guestbook can also include maps and atlas pages. This question is slightly more serious. But most of your guests will be happy to give you advice. Everyone has a secret ambition they hope to fulfill over time. You can go for a zany design with images of buckets. However, a classy vintage-themed guestbook is also appropriate here. You can also ask your guests to give you advice that you will reread on special anniversaries. If you know your guests are all tech-savvy, you can ask them to give their advice in the form of a hashtag. This generally leads to hilarious results. And like with the songs, you can make the results public online. While this method is time-consuming, your guests will love it. Give every guest their own page. You can commission an artist to draw silhouettes or caricatures of all of your friends. Or you can just do your best to decorate their designated page in a way they will enjoy. You can add various objects to your guestbook. Look in nature for inspiration. For example, a few pressed flowers or autumn leaves can have a great effect. 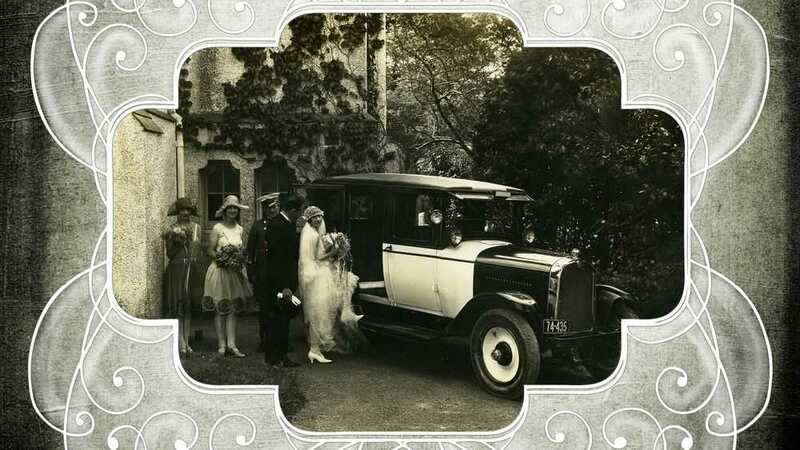 If your wedding has a retro theme, you can decorate the pages of your guestbook with vintage photos. On the other hand, you can also use it to show off your engagement photos. Create a professional-looking album for your guests to write in. Thumbprints are a sweet and surprising way for your guests to leave their mark. However, your sign should encourage them to sign their names too. Make sure your guests have enough supplies to write with. Leave pens in more than one color. 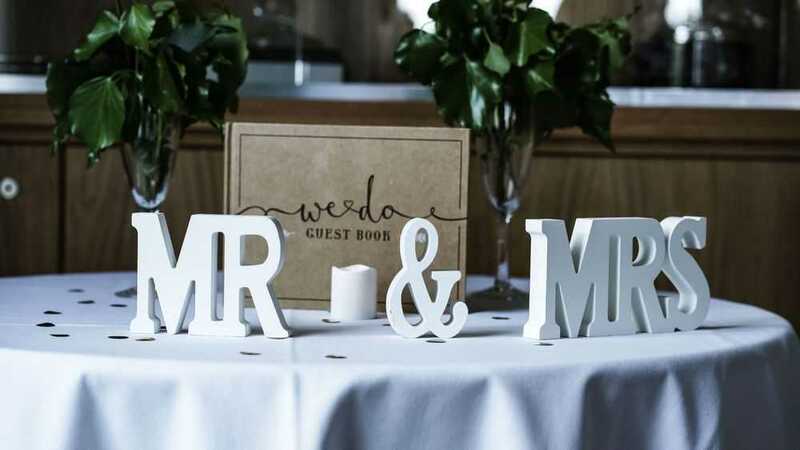 If you decorate your sign and your guestbook with doodles, your guests might follow suit. 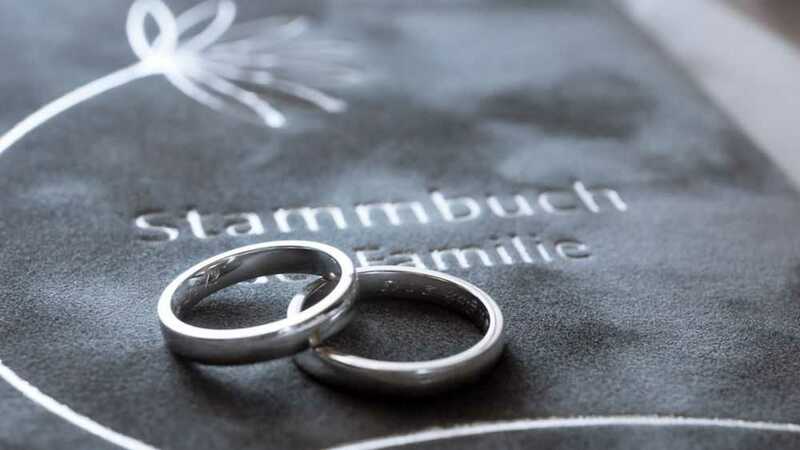 More than anything else, you guestbook should reflect the interests of you and your spouse. So when you’re choosing guestbook designs, think about the passions you share. If either of you has an artistic streak, your guestbook is the perfect place to share it. Even the friendliest sign can go unnoticed. If possible, you could ask a loved one to sit by the guestbook and invite people to sign it. A few years down the line, you might find it difficult to recall exactly who was present on your big day. But a unique guestbook can help keep those memories from fading. It will help you remember what it felt like to be surrounded by the people you love.